With the rise of phony LinkedIn pictures and profiles, the ability to determine what’s real from what’s stock photo is more important than ever. It’s essential to take just a minute or two to scan the profile of someone who has requested to be in your network. Doing some investigative work so you can help preserve the integrity of your network can help to eliminate unnecessary headaches down the road. 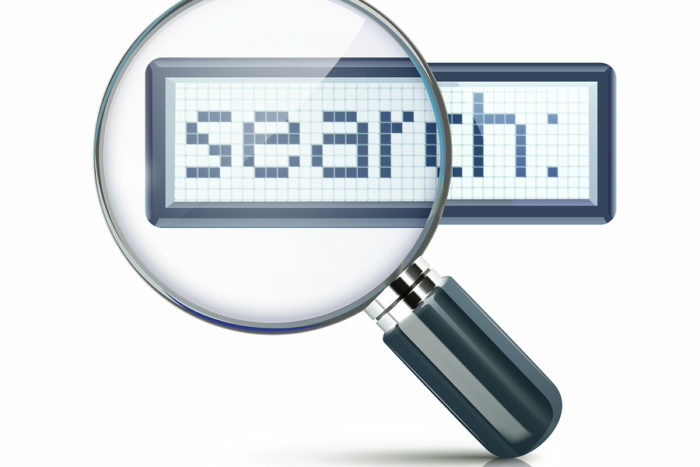 When you identify a profile in question, you can use Google Image or TinEye to do a quick scan across the web for that exact image (There have definitely been instances where the photo might someone is in front of, say a flag, and the results pull back other people in similar settings, particularly with flags.) to see where else it is posted. TinEye is also available as a Chrome extension, making it a one-right-click check and balance. Both Google and TinEye will run a search of the web to see if that image exists elsewhere. Most legit pics will come back with perhaps 2 or 3 hits, depending on what platforms it was used on. But stock photos or outright stolen photos may give you either a greater number of results or much more obvious proof of it’s misrepresentation. Let’s take an example from a company called GreyCampus, whose fakeness has been making the rounds in recruiter circles lately. The profiles seem relatively legit at a glance. There is some relevant information on certifications, education history and the like. It’s not wordy, but it’s not barren in terms of content. Here’s an example of 2 of the top 10 search results when looking up the company by name. You can click on them to view the whole profile. Again, there’s nothing obviously wrong with them at a quick glance. But something still doesn’t feel right. Maybe it’s that the photos seem overly-produced in terms of quality. Maybe it’s a gut feeling. Here’s what comes up when I did a Google image search for Megan’s picture, and multiple names start coming back with that pic, proving it’s a stock pic. And here was the result on TinEye for Sean. Notice that the very first result is Alamy, a provider of stock photos. When our network is such a central piece of our ability to do our jobs as recruiters, we need to ensure that only real, verified connections are getting in. 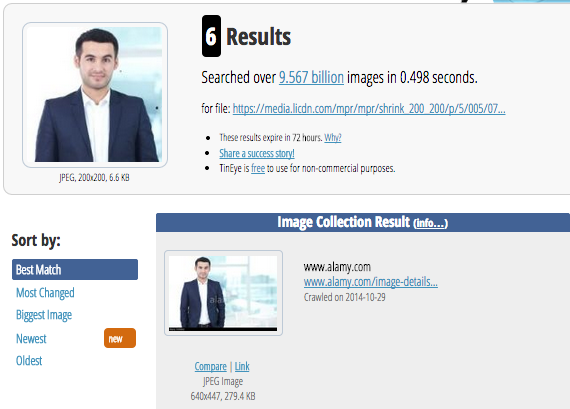 This can also be a neat tool for providing you links to a candidate’s other social profiles, if they used the same picture on that platform. That’ll save a few minutes looking for Twitter and G+ profiles. Seeing all of the examples of people egregiously misappropriating the picture of others on their profiles, I decided to do a TinEye search on myself. 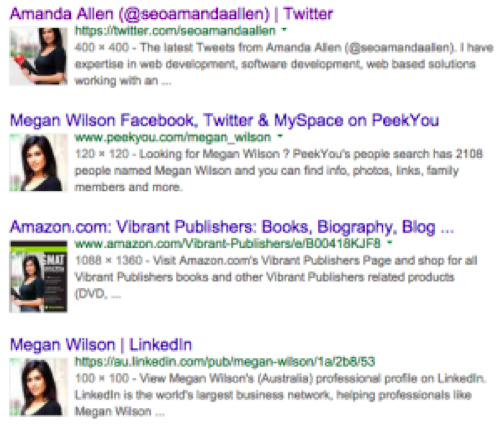 I expected to find links back to my blog, Twitter, LinkedIn and maybe one or two other sites. All most likely places where I’ve used the same pic, or have connected to them with LinkedIn’s credentials. I found myself on some weird, creepy dating(?) site, whom I’m not going to name and/or give any recognition to. But even the name of the site is cheesy. Besides it being incredibly frustrating to navigate to find their support contact, I was now concerned about how my photo (read:identity) was being used. I eventually did find their contact info and sent off an email to them. We’ll see if I get a response.